Here's to another crack in my football shell. This week I decided to go with something I knew about. 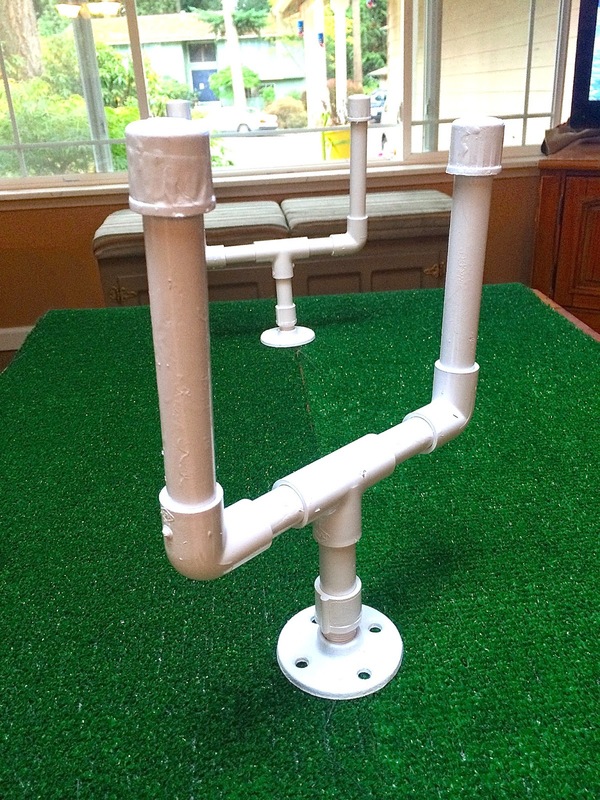 And before you get all happy that I figured out football, I really mean the PVC pipe that I used. 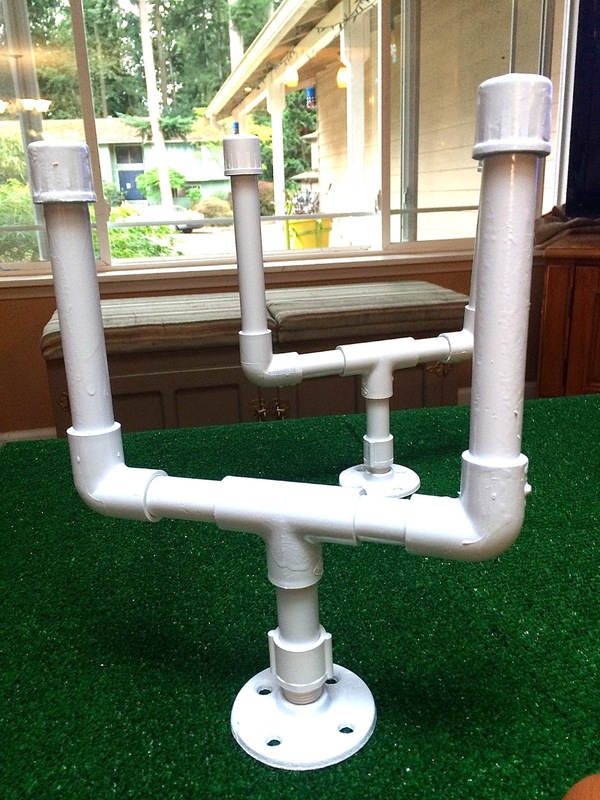 When I was at Home Depot looking for the metal base so these would stand, a worker approached me looking to help. Trying to explain to him that I was looking for parts to make a goal post...but not actually saying "goal post..." Lets just say that it was probably equally as amusing to him as my football/baseball story from two weeks ago was to my father-in-law. 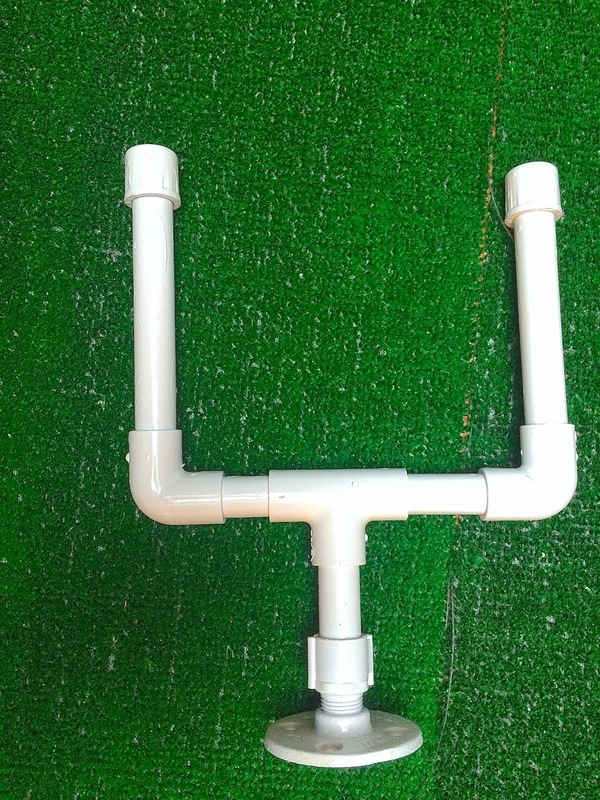 Once he was able to control his laughter, he was able to help me find the base and the little piece that screws into the base so this goal post would stand up! Then I had to show Lucy how to play it. I found a small foam football that I probably got at some random freebie for walking the mall or something dumb. 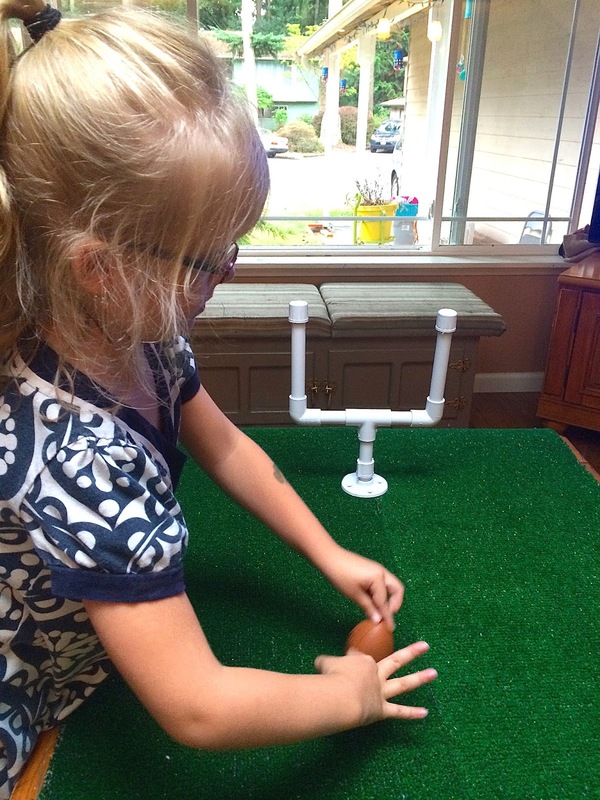 And I showed her how to flick the ball through the goal posts. And this kept her and Dexter busy for about a half hour until they started fighting over the ball. I am totally taking this with us to the next football party we go to so they kids can all play it! I think it's going to be a big hit! Need more football ideas for your game-watching and tailgating this weekend? 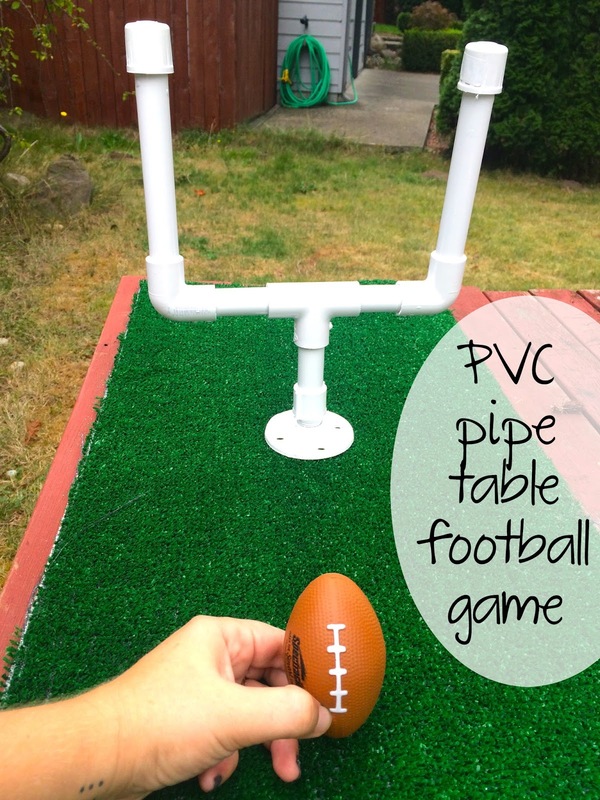 I’ve teamed up with a group of creative bloggers to share some fun football game day ideas. 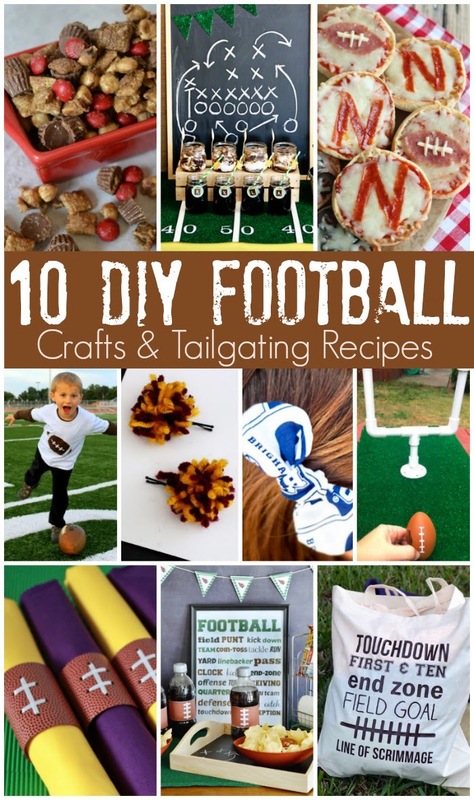 So, check out the DIY team spirit wear, football party decor, and great game-watching recipes below! PVC should be required study in Public School......So did Louie SCORE?